You'll be £19.99 closer to your next £10.00 credit when you purchase Women and the Gallows 1797 – 1837. What's this? 131 women were hanged in England and Wales between 1797 and 1837, executed for crimes including murder, baby-killing, theft, arson, sheep-stealing and passing forged bank notes. Most of them were extremely poor and living in desperate situations. Some were mentally ill. A few were innocent. And almost all are now forgotten, their voices unheard for generations. Mary Morgan – a teenager hanged as an example to others. Eliza Fenning – accused of adding arsenic to the dumplings. 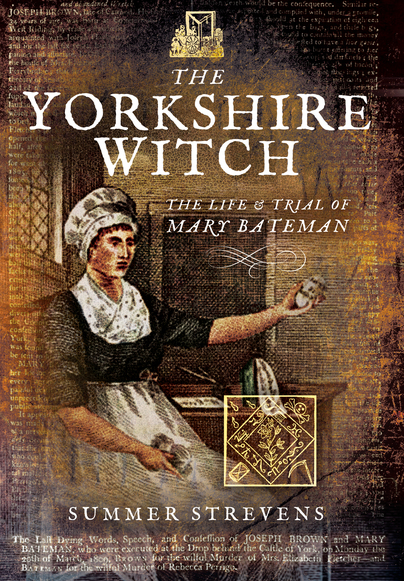 Mary Bateman – a ‘witch’ who duped her neighbours out of their savings. Harriet Skelton – hanged for passing counterfeit pound notes in spite of efforts by Elizabeth Fry and the Duke of Gloucester to save her. Naomi Clifford has unearthed the events that brought these ‘unfortunates’ to the gallows and has used contemporary newspaper accounts and documents to tell their stories. The author provides a brief synopsis of the crimes and executions of each woman. Many were convicted of infanticide and five were hanged for arson. But the heart of the book is more than a dozen case studies of better-known or representative cases. Clifford lists all the female hangings in these 40 years, with a brief note on each and considers 20 of them in greater depth. Like searchlights, they light up corners of Georgian society which are otherwise hidden from history. 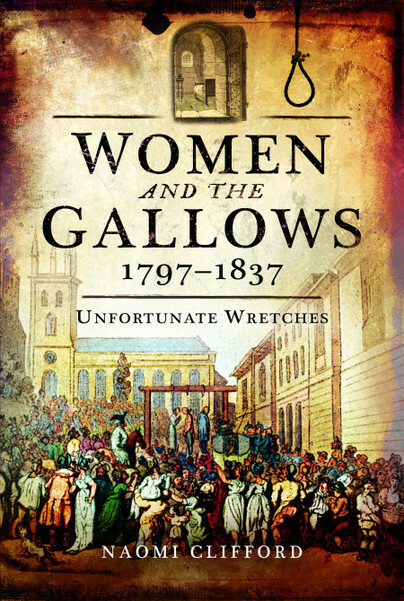 Women And The Gallows by Naomi Clifford is horrifying and heart-wrenching real-life accounts of 131 women who were executed in England between 1797-1837. This was a time when stealing could result in the death penalty, and often women seemed to be singled out for the harshest of punishment while men were deported to Australia or given a reprieve. It’s a sad but fascinating read, and I would highly recommend it. The story of how this "respectable young woman [Eliza], convicted on circumstantial evidence" - including some fanciful chemistry - fell prey to prejudice and misogyny is exemplary of Naomi Clifford's plain yet affecting style and preoccupations in this sober ans sensible book aimed at a general readership. This is a highly readable look at some women, some crimes, and, more particularly, at the mores of the last decades of the Georgian era. It’s well written and well researched. ★★★★★ A brilliantly researched document for our times. This is a very well written book that really explores the historical and social background of all the 131 women hanged in England and Wales between 1797 and 1837. Naomi Clifford has used contemporary newspaper reports and documents to research these cases, so we can see them through the "eyes of the time." A useful insight into women’s criminal acts and the response to these in the period covered. Read the complete ★★★★ review here. Clifford's book gives detailed accounts of a selection of cases, and a summary of all the women who faced the gallows between 1797 and 1837. Well-researched and presented in a readable narrative, the book touches on a wide range of themes, such as mental health, motherhood, social class and the history of criminal justice. These unusual 'micro-histories' provided a fascinating insight into women's lives at the turn of the 19th century, especially of those who fell foul of the law. Read it for: Varied accounts of female criminality, drawn from a wealth of archival sources. ★★★★★ A fascinating read - highly recommended. ★★★★★ A superbly written book, with an exquisite eye for detail.